Our users in California may find this interesting. 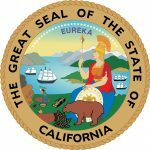 The State of California has decided to delay the implementation of its own recently passed Net Neutrality legislation in order to allow a final decision to be reached in a federal lawsuit against the Trump Administration. Oral arguments are scheduled for February 1st, 2019 in the D.C. Circuit Court of Appeals in a case opposing the Trump Administration’s overturning Net Neutrality laws established under the Obama Administration. The full text of California’s Net Neutrality law can be found HERE. If you have any questions about electronic access to California courts, or would like information on any of our other products and services, contact us at customerservice@courttrax.com or give us a call: 866-643-7084 (Option 2).